From the creators of Modernist Cuisine comes a title that translates the art of fine dining to classic home dishes and brings restaurant quality delicacies to the amateur’s kitchen. This 456-page volume includes all the essential information to stock and run a modern home kitchen. 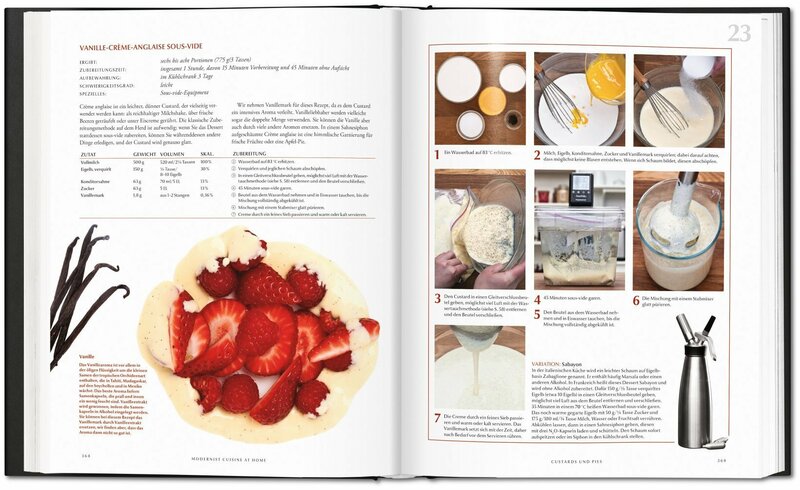 Recipes, equipment guidance, and ingredient advice are illustrated with helpful step-by-step photos in all the quality and quirkiness that made this book’s predecessor such a hit. Our groundbreaking and encyclopedic six-volume publication Modernist Cuisine, with its decoding of cooking techniques, sophisticated recipes, and stunning photography, was a revelation for serious and aspiring chefs alike. 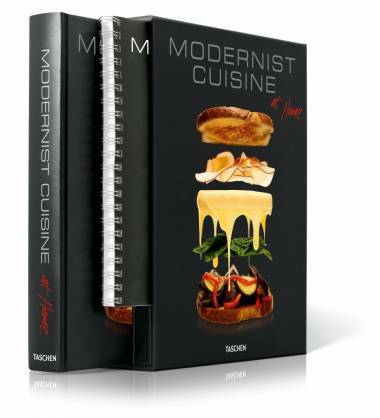 Following on that spectacular and ongoing success, this new publication brings the Modernist Cuisine brand and movement to an even wider audience, ensuring that even the enthusiastic amateur or beginner can profit from cutting-edge innovation. Destined to set a new standard for home cookbooks, Modernist Cuisine at Home is the ultimate companion for anyone and everyone who wants to master world-class culinary techniques in their own kitchens. In a lavishly illustrated guide, Nathan Myhrvold and Maxime Bilet, co-authors of the original volumes, revisit their themes for cooks of all skill levels, complete with all-new recipes, specially tailored to the most accessible ingredients and equipment. Drawing on the same commitment to perfection that produced Modernist Cuisine, this publication applies the methods of Nathan Myhrvold’s Cooking Lab to classic home dishes, from hamburgers and wings to macaroni and cheese, as well as to delicacies such as pistachio clam chowder and sous vide snails. 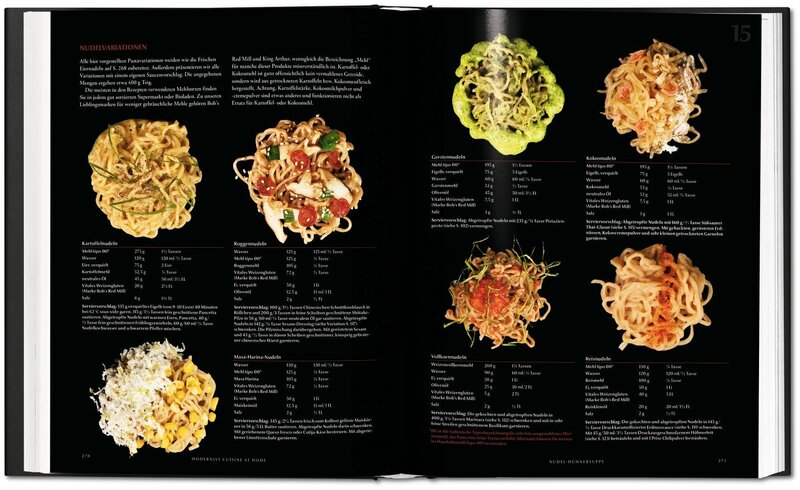 The main 456-page volume includes all the essential information that any cook needs to stock and run a modern home kitchen; how-to features, ingredients advice, equipment guidance, and more than 400 new recipes, most with helpful step-by-step photos that make it easy to bring dining of the highest quality to your own dinner table. 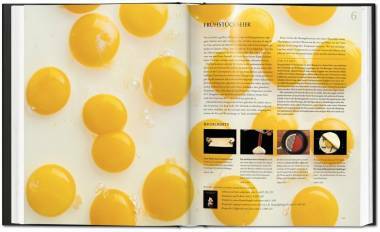 All recipes are also reprinted in a separate 230-page kitchen manual, lightweight and plastic-bound. 1. What is Modernist Cuisine at Home? 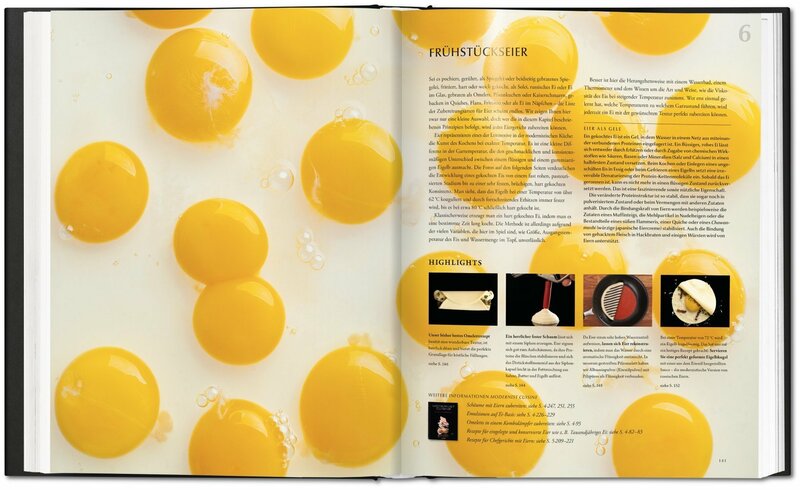 Modernist Cuisine at Home is the new, lavishly illustrated cookbook for home cooks created by Nathan Myhrvold and Maxime Bilet. The authors have collected in this 456-page volume all the essential information that any cook needs to stock a modern kitchen, to master Modernist techniques, and to make hundreds of stunning recipes. 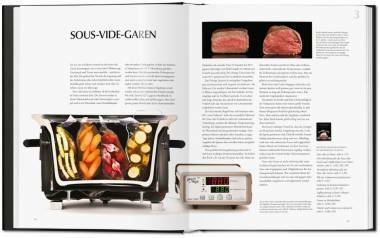 The book includes a 230-page Kitchen Manual that reproduces every recipe in a separate, portable companion. 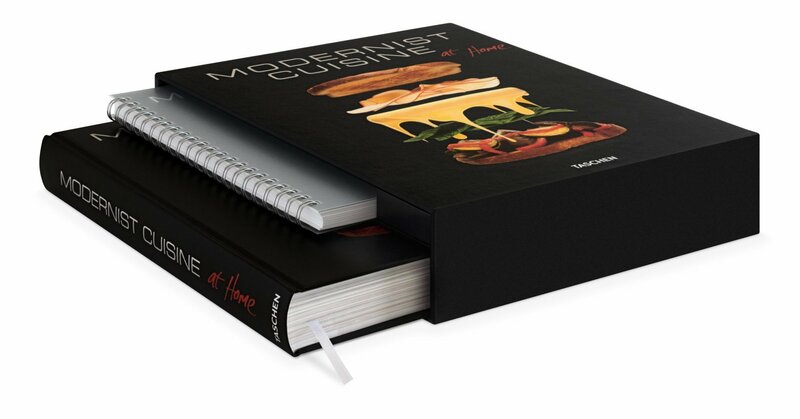 Drawing on the same commitment to perfection that produced Modernist Cuisine, Modernist Cuisine at Home applies innovations pioneered by The Cooking Lab to refine classic home dishes, from hamburgers and wings to macaroni and cheese. More than 400 new recipes are included, most with step-by-step photos that make it easy to bring dining of the highest quality to your own dinner table. 2. Is the Modernist Cuisine at Home content just taken from Modernist Cuisine? What about the recipes? No. You will, however, find a few Modernist Cuisine dishes that have been adapted for home cooks, such as the iconic Striped Omelet, Caramelized Carrot Soup, Roast Chicken, and Modernist Hamburger Patty. The vast majority of Modernist Cuisine at Home is all new content and original recipes, designed specifically to empower the home cook. 3. How is Modernist Cuisine at Home different from as Modernist Cuisine? How is it the same? The recipes and techniques presented in Modernist Cuisine at Home are all within reach of home cooks. Some recipes do call for specialized equipment, but none require anything that you can’t find at a cooking store. 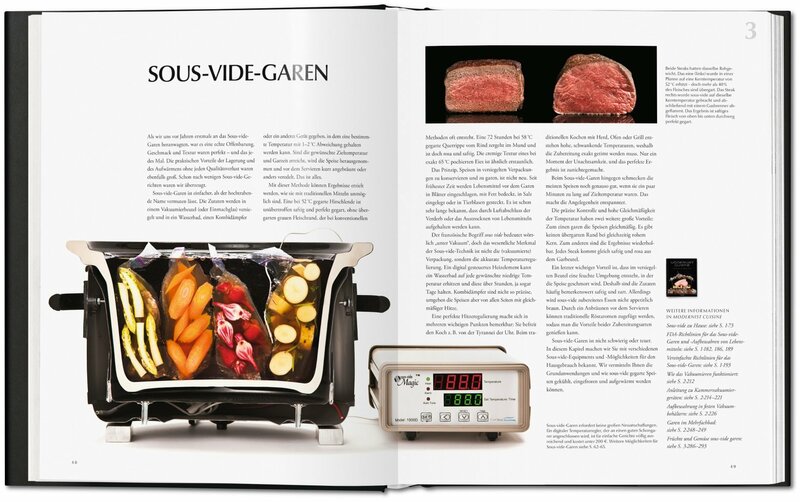 The book also provides suggestions for ways to improvise the cooking equipment that you don’t already have – for example, we offer several variations on ways to rig your own sous vide temperature-controlled water bath if you don’t have one handy. Although we look forward to the day when centrifuges and rotor-stator homogenizers are common household items, you’ll be able to cook most of the recipes in Modernist Cuisine at Home with the kitchen gear you already own. Even though the dishes in Modernist Cuisine at Home will be familiar to any home cook, our culinary team developed the recipes with the same scientific rigor and Modernist philosophy that has made Modernist Cuisine so respected among the world’s top chefs. We believe that home cooks and professional chefs alike are curious about the fundamental changes that take place inside foods when they are cooked. In length it is 456 pages, which is about the size of volume 2 of Modernist Cuisine. 4. Modernist Cuisine at Home seems to dumb down the principles in Modernist Cuisine. Won’t this offend your target audience? The principles behind Modernist Cuisine at Home are fundamentally aligned with Modernist Cuisine – using a scientific understanding of cooking processes to achieve the ultimate version of a recipe, so we don’t think of the recipes in Modernist Cuisine at Home as being dumbed down. For instance, we could have dumbed down our Macaroni and Cheese recipe by calling for store-bought Velveeta. Instead, we teach you how to transform really great-tasting cheese so that it takes on the same melting properties of Velveeta. We think that’s actually pretty smart. 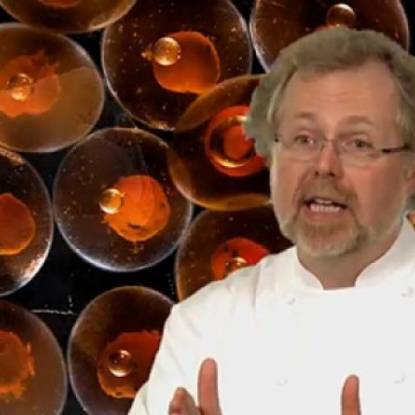 We specifically don’t call for the use of some hard-to-find hydrocolloids that we use in Modernist Cuisine, and none of our Modernist Cuisine at Home recipes require a centrifuge or a rotary evaporator, but that’s because we chose techniques that would not exclude home cooks based on the amount of money they can spend on exotic equipment, home kitchen space, or access to certain ingredients. 5. Since you left out some things like equipment, certain ingredients, and some techniques to make it easier for home cooks, does this mean that you admit that Modernist Cuisine is only for professional chefs, not home cooks? We still strongly believe that home chefs can make most of the recipes found in Modernist Cuisine. 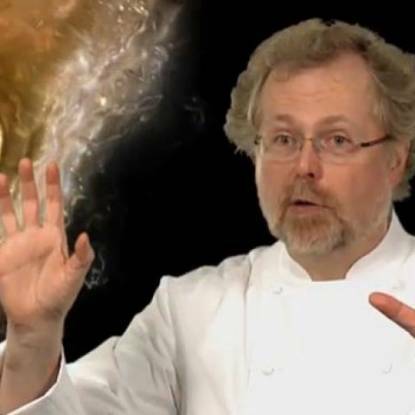 What we wanted to do with Modernist Cuisine at Home, however, was to appeal to a wider audience who might be leery of using something like liquid nitrogen at home (though we think it’s perfectly safe when handled properly!). We also wanted to demonstrate that you can apply Modernist techniques and principles to common American home-cooked food like chicken wings and cream pie. 6. Who worked on Modernist Cuisine at Home? How many people? When did you start it? How long did it take? Who took the photos? Who made the recipes? Work on Modernist Cuisine at Home began shortly after the release of Modernist Cuisine. 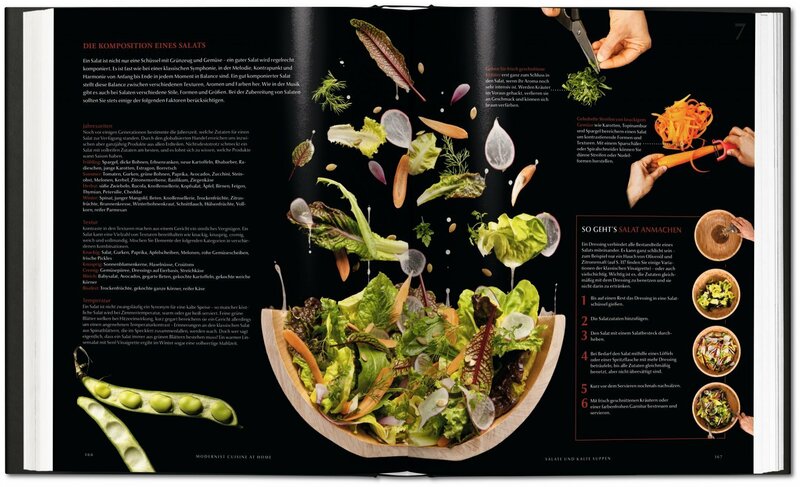 Our team of 34 people includes chefs, photographers, editors, writers, researchers, fact-checkers, designers, recipe testers, and the type of people who wear the many hats required to make a project like this successful. Most of the Modernist Cuisine at Home team also worked on Modernist Cuisine. 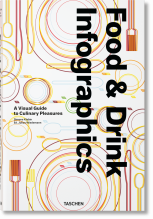 A few notable exceptions are Modernist Cuisine co-author Chris Young, photographer Ryan Matthew Smith, and research chef Grant Crilly, who have moved on to other projects. 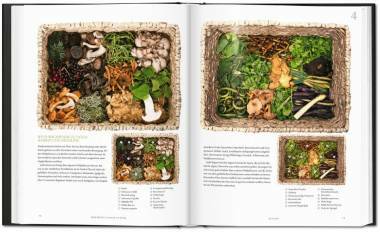 From start to finish, Modernist Cuisine at Home took about one and a half years to complete. All of the recipes in the book were created by Nathan, Maxime and our research chefs at The Cooking Lab, though a few were inspired by our recipes in Modernist Cuisine as well as other chefs from around the globe.